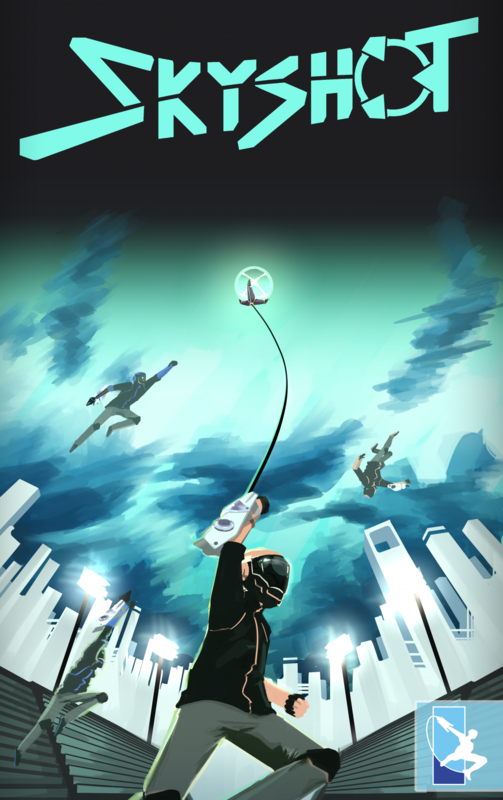 Skyshot is a ball-and-hoop sport where players use grappling hooks to swing across the stadium, steal the ball, and score in a 3v3 first-person game. The mechanics of the game was originally designed and programmed by Aaron Hong, Nathan Iskandar, and Kyle San during one of the core classes for Computer Science (Games). Friends of the engineers gathered together and developed a pitch for Skyshot, which will take the mechanics and player experience and transform them into a new digital sport. You can follow Skyshot on Facebook, Twitter and on their website at http://www.skyshotgame.com.